Fin, we get it. Our losses are going to be higher not treating, but hives that do crash from varroa here do so in the fall and winter after the honey is made. I've read that a varroa infestation greater than 1% affect production, but I don't see spring varroa numbers that high and my honey production per hive exceeds our local average. Would I be better off treating, sure I'd have more hives. Have I got TF figured out yet, no. But, for the bees sake don't you ultimately want folks to learn how to keep bees treatment free again? I started beekeeping with the absolute conviction that I would not treat - ever. I was up to 28 colonies last summer - swarms, cut outs, splits, some left from my original stock. Many factors contributed to me ending up with sixteen going into winter. Too many to go into here. I came out of the winter with zero. Beekeeper error? I'm sure there was plenty. Bottom line: Varroa beat the crap out of my bees and out of me. So what's my next option? Repeat the same procedure with a tweak here and there hoping for a different outcome? Nope. I'm treating. Ideally, all the organisms within and around honey bees coexist in a state of equilibrium. However, if a colony has a serious nosema infection or is being overrun by mites, obviously something has already upset the "balance". It might've been something you did. It might've been something the beekeeper down the road a piece did; it might've been some statistically inevitable waves in the equilibrium. Either way, something is either in balance or it isn't. Once a colony's varroa infestation is out of balance, treating won't make it "out of balance times two". However you choose to keep bees is fine, you do what is right for you and your area. I certainly have a lot to learn, but the one great truths of beekeeping I agree with is that all beekeeping is truly local and small changes to location or management style can make all the difference in the world. I have 4 bee yards, this last winter I had 10% losses in 3 yards, but in one yard I lost 14 out of 17 hives. The area surrounding the one bad yard suffered worse from our drought and had poor fall forage compared to my other yards. Had I the only one bad yard, I would have assumed everything I was doing wasn't working and would be changing everything. I know so much about varroa that vain to explain. 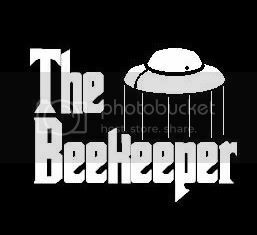 I have kept bees 50 years and varroa I have had 32 years. Sometimes I have met huge disasters. What a heck that means? If I try to get honey 80 kg per hive and then some one come to say that 40 kg is in a state of equilibrium. Half to me and half to varroa? Then I am like those "do nothing guys". What a heck that means? I mean that the notion that bees will reach a state of harmony with mites and viruses and spores as long as humans don't treat or otherwise interfere is based on an idealistic expectation of the way nature works. In real life, it is very rare and always fleeting that anything in nature reaches an ideal state. The point of my post was, if a bee has some kind of disease or infestation, it's self-apparent whatever "harmony" or "balance" that's ideally supposed to exist already doesn't. In that case, treating or other interventions can't possibly ruin any such balance, so there's no harm in doing using them. Does that make more sense? I have studied 6 years biology and ecology in university. I have read enough about those nature lovers fairytales in beekeeping forums. I believe they are mistaken about some things when it comes to the, well, "nature" of nature. But, I understands what motivates their passion, which is a respect for bees and a general idea of their importance, and that's not so bad all by itself. However, I think just cavalier dismissal of their thoughts isn't the best way to engage people you want to reach. A dialogue is always best.